This facility has been a godsend to my mother and to her family. She was welcomed to Cottonwoood after breaking her pelvis and then a bout with CDIF. When she had recovered from the CDIF, she was grateful to come to her new "home" where her familiar furniture and nicknacks welcomed her. She came in as a hospice patient, but quickly graduated and has loved her special care and new friends with a genuine love. Every caregiver is encouraged to know the residents by name. She used to not be very social. She loved walking around the hallways and interacting with the other residents and the people who served her daily. It was nice to know that her apartment was cleaned every week. Her laundry was handled. They made sure mom was bathed and all her medications were taken care of at the proper times. I liked that they checked on her in the night and that they called me when or if there was any problem. I enjoyed several meals with my mom and got to know many of the wonderful residents there. 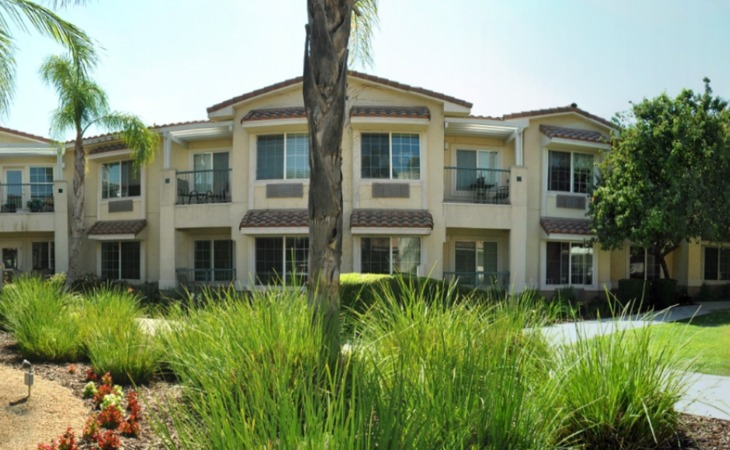 You will not regret making Cottonwood your choice for assisted living. My mother lives at Cottonwood Court and really enjoys her beautiful one bedroom apartment. She loves the large windows, view of the trees and nice balcony. The staff is amazing. Very patient with her and accommodating even when she can be a bit cranky. She finds the food excellent. While not one to join in on activities, the selection and variety of the offerings are varied. The community has a lovely dining room, separate cafe where family can join a resident for meals, lovely private dining room, exercise room, church, etc. It is very comforting to know that the nursing staff is managing mom's medication so the family as well as mom do not have to worry about correct dosages and timing. Her apartment is always kept clean, her laundry is kept current and she is happy to have the staff checking in on her 24 hours per day. I visit my sister at this facility several times a week. I enjoy seeing her involved in activities there with other residents such as Book Club, movie time, a Bible study, and yesterday she joined a group going out to lunch at a local restaurant.. The rooms have beauty out of every window!. She is able to get her hair done right there. without having to be transported someplace. The library is one of her special places, for books as well as the wonderful large table for games and jigsaw puzzles. The staff is helpful and pleasant. I am so happy she has a pleasant place to live. Thank you for taking the time to write a review, we are honored to have you and your sister as a part of our Cottonwood family. My Dad has been living at Cottonwood since November 2016. Prior to moving here he was living alone, but at age 90 he needed to have more consistent care and Cottonwood proved to be the best place to recieve that. My Dad was lucky in the sense that he already had a friend living here, so that made his choice easy. We couldn't be happier with the care he recieves. The staff is professional and friendly. He recieves 3 meals a day which is his favorite times of the day. The nursing staff is caring and really listen to your needs. I no longer worry if he's taking his medication because they dispense it to him twice a day. We're very happy with the care he recieves and the people that he interacts with on a daily basis is top notch! Mom had enjoyed and independent living lifestyle until she fell and broke her hip in early July. She had been suffering from progressively worsening short-term memory loss for the last couple of years. After a month of post surgery rehabilitation, she turned 90 during that time, we moved her into an assisted living apartment at Cotton Wood Court. The accommodations, food and activities have been outstanding. The staff are wonderfully competent and caring. It has taken Mom a few weeks to "settle in" and adjust to her new environment, due primarily to the negative effects of her hip surgery (anesthesia, pain medication, etc.) on her memory and emotions; but thanks to the patience and loving care of the Cottonwood staff, Mom and the rest of her family have come to appreciate and love her new home. Cottonwood Court was nice and clean, and the decorations were fine and pleasant. The staff was very professional. It looked like they had a nice menu. Cottonwood was good, and it's really nice, but it's actually more the people. The people that I met, from the people at the front desk who answered the phone and greeted you, to the person who did the tour, the person who did medical management, the activities coordinator, the manager of the facility, the person who did the cooking, and the person who did the billing, everybody was accommodating and tried to have my parents there. All of that experience was really good. The assisted living side is nicer and roomier, the memory care side is a lockdown, and there isn't any exercise facility. Cottonwood Court was our first choice, but they turned my mom down as there were issues and they couldn’t take her. The staff and the amenities were great; we liked everything. The dining area was a nice intimate small area, and I like that its open up in the courtyard and that’s where people can walk through. It was split up into two sections or communities; they have 26 beds on each side. Demi, Thank you so much for your review. I am sorry we were not the right fit but we truly appreciate the opportunity we had to meet you and to learn about your mom through you. Wishing you and your family all the best. Our mother has been a resident at Cottonwood since 2014 and absolutely loves it! It was important and very essential when the decision was made to find her next home, that it be safe, nurturing and dependable. The staff and the frontline caregivers and attendants are wonderful and are very caring to mom and she enjoys them immensely. Her medical needs are attended to with diligence and they will call us immediately if there are any changes or concerns that need to be addressed. They provide peace of mind and support for our family. We truly appreciate all they do to make mom feel comfortable! Pat, We cannot thank you enough for your kind review of Cottonwood Court, we strive to provide the best support and care and we are able to accomplish that with the support of families like yours. Thank you for allowing us to be a part of your family. Our Mom has lived at Cottonwood Court for over four years and is happy to be there. We have peace of mind knowing that she is in good hands. The staff at all levels does an outstanding job of helping the residents and their families during the initial move and every day thereafter. We have received quick responses to any of our questions, and we look forward to seeing both the staff and residents on our visits with Mom. We highly recommend Cottonwood Court. When we were looking for a new home for Mom, she wanted to be independent and we wanted her to be supported round the clock with any needs she might have. She loves it so much that when I moved to the coast, she said, "you're not moving me!" She has her own beautiful apartment overlooking the courtyard, which looks like it belongs in an Italian villa. The family loves the fact that she has 24 hour support with her medications, housekeeoing, hygiene and nutrition. Best of all, the Cottonwood Court staff has become a part of our extended family! Thank you Jan. We are so grateful for your mom and your family and it is truly a blessing to know all of you, thank you for being a part of our Cottonwood Court family. I cannot begin to say enough positive things about Cottonwood Court. My mother is 93 and has lived there for almost 5 years. They have quite literally given her new life! She came here to live ( and NOT to die!) and she certainly has lived well. Mom enjoys the visits and attention from the RAs as well as the visits and check-ins from the 24 hour nursing staff. The lift on the Cottonwood Court bus has meant that she can participate in any and all trip activities ( and she does!) in comfort and safety. Beth, the bus driver, is a gem! Previous to living at Cottonwood Court my once a week visit consisted of taking Mom to doctor's appointments and making decisions on the need to take her to the ER, as well as worrying nightly about her safety. No more worrying about Mom as her second family at Cottonwood Court takes such good care of her. I tell everyone who comes in that we have the best residents and families and you have proven that once again to be true! Thank you for allowing us to know, love and care for Mary and for your kind words, we appreciate all of you so much. I've lived in several other facilities, but I haven't found one better than Cottonwood Court. I particularly like the freedom that having a bus with a lift affords me. I can meet my daughters at Dr. appointments or go out to lunch with the "lunch bunch." My family can travel knowing that I am being cared for in every way by my Cottonwood Court family. Mary, You are a delight to know and love and we are grateful you chose Cottonwood Court! Thank you for taking the time to post your review. One of my good friends lives at Cottonwood and she absolutely loves it. I visit often and there is always something going on. The front desk staff is courteous and always willing to help residents and guests. Their holiday and large events are wonderful and they really make it a point to encourage family members and friends to be involved with the community. They treat their residents like family. Thank you for taking the time to post this review. We are honored to care for your friend and we are grateful you are both a part of our Cottonwood Court family. I am staying at Cottonwood Court, and it's adequate. I have a studio, and it's decent-sized. I have a kitchen and a sink. The food is decent. I wouldn't say it's delicious, but it's not terrible. It's stuff like meat loaf and mashed potatoes. They have games and take trips out for lunch. Resident412761, Thank you for taking the time to review Cottonwood Court. I have forwarded your comments to the chef. We would love to have you join our food committee meeting and provide specific feedback for our dining program. We are honored to have you as a part of our Cottonwood Court family. Cottonwood Court's staff was very kind, nice, and helpful, but when I found out the price, I realized that my sister couldn't afford it. I was downstairs, which was very nice and well-done. My girlfriend's mother had been at the facility one time, so I knew it was a nice place. The staff was very knowledgeable. Thank you for your kind review about Cottonwood Court. I am sorry that we were not a fit for your sister, if you need additional resources please feel free to contact me and I will provide assistance in anyway I can. It was a pleasure to meet you. Best wishes. My sister will be moving to Cottonwood Court in about two weeks' time. Price was the main reason why we choose this place. Everybody was friendly and helpful. They answered all my questions. It was a good experience all the way. They did have a lot of activities for the residents like going shopping. They had transportation to take the residents to appointments. I would highly rate this place. Our mom has been at Cottonwood Memory Care for 4 months now. Our mom had lived in her home for about 68 years and so this was a very difficult move for her and for us. We were shown around the facility beforehand and were impressed with how clean it smelled and how clean it was visibly inside and out and the friendliness of the staff. They assured us, encouraged us, hugged us during the difficult stage of adjustment for mom. Sometimes it takes a couple of weeks, sometimes a couple of months and sometimes longer for them to adjust. The staff....they don't give up and they didn't give up on our mom. We love those caregivers that tend to her needs each and every day and we pray God's blessings on each and every one. A life story filled with adventures, accomplishments, and cherished memories is a wonderful story and at Cottonwood Court Senior Living, we believe a good story should only get better. When it’s time for a little help, we would like to help you or your loved one write the next chapter. Cottonwood Court Senior Living offers two communities in one, an assisted living community and a secure memory care community in separate locations on one beautiful campus. At Cottonwood Court we tailor our assisted living services to fit your needs and your lifestyle. Once you reserve your new apartment home we will begin the “getting to know you” process so that when you move in we can have a service plan all ready for you that suits you as an individual. At Cottonwood Court we believe that your loved one's story continues even when they are dealing with memory loss. While we realize that Alzheimer’s disease and other types of dementia can be a difficult burden to carry, we also understand that the person is not the disease. We want to know your loved one's story, their passions, their successes. By knowing their story we can help them continue living a quality life that affords them both comfort and dignity. Our unique setting is both home like and secure, complete with the care your family member needs and the compassion they deserve. We invite you to visit Cottonwood Court and see for yourself the quality service we provide to our residents and their families that goes beyond what you have come to expect from senior living communities. What should caregivers and potential residents know about Cottonwood Court Assisted Living and Memory Care?